Screen capture of Deke McClelland’s webpage. 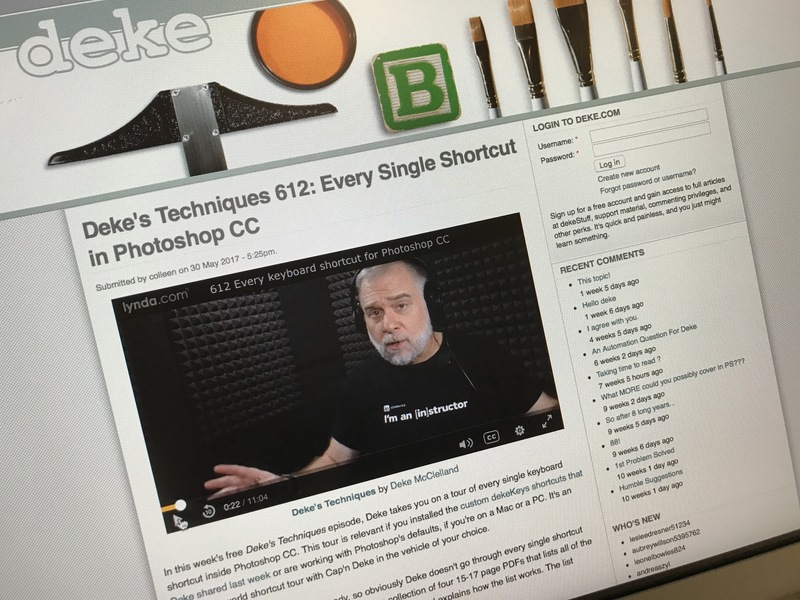 Today, as I was catching up on my blog reading I watched this video by Deke McClleand, on all the shortcuts in Photoshop CC. I’ve followed Deke for years. He’s, in a word, fantastic. You can find his stuff on his own site deke.com and on Lynda.com. Previous Here’s to keeping life consistent!